The Entrepreneurship 2020 Action Plan promotes the inclusion of entrepreneurship education into formal, non-formal and informal learning and invites the Member States to embed entrepreneurship education into the curriculum across primary, secondary, vocational, higher and adult education. Therefore and amongst others, entrepreneurship educators need to have access to a varied range of resources in order to build activities for learners that are as true to life as possible, bringing the outside world in their learning environment. The availability of such divers types of material will facilitate the educator’s task of delivering cross-curricular entrepreneurship education. With this resource center for good practices, we aimed to gather some materials that are applicable to entrepreneurship education in different sectors: for educators, by educators. The materials provided can be used to strengthen the entrepreneurship competences in people to help them develop their ability to actively participate in society, create more value in their community and manage their lives. The materials provided in our resource center are linked to one or more competences as described in the EntreComp overview. This will lead the educator either towards the sort of competence he wants to train with his learners. They are Open Educational Resources (OER) and are free to use. 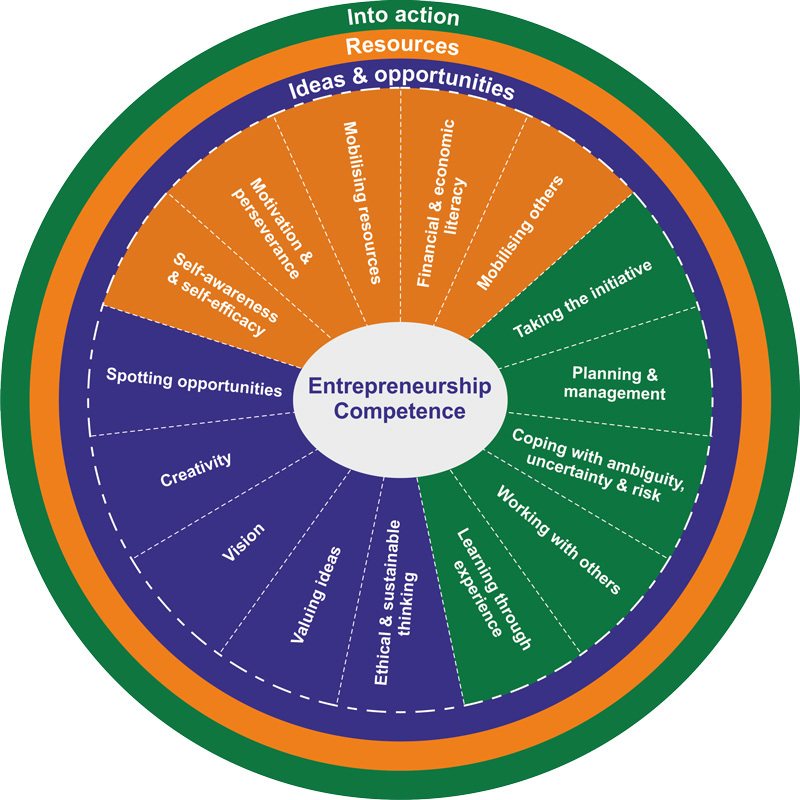 Click on ‘Access the resource center’ to see the different Entrepreneurship Competences that you would like to find an activity for. We would also like to refer to the different modules in our Open Online Training Course for other practical materials concerning different aspects of entrepreneurship education (related to EntreComp). How to Teach Entrepreneurship? What, Why, When & How?